I have said that stock indexes are at a risky level. 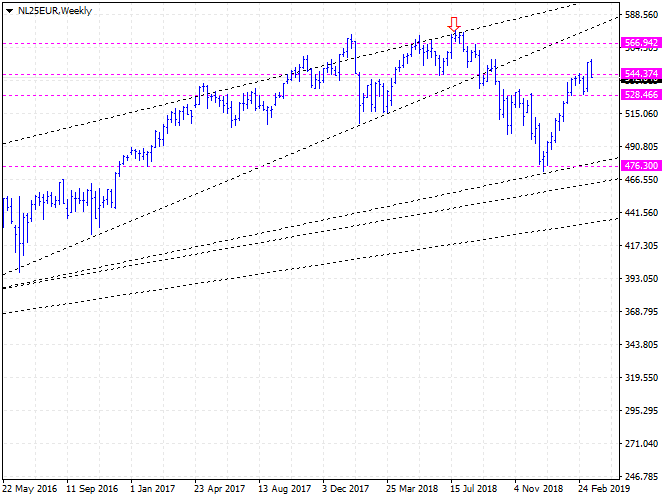 A few days ago, I talked about the German Dax index. I said that it was time to close the buy-positions and that it would be better to do sell-trading. Netherlands AEX 25 index futures are noticeable. The charts say they are going to fall. Important price lines are 544.37 and 528.46. The support line is likely to be about 476.3. At present, I don not known whether they are going to enter a downward trend. It would be better to do sell-trading. Many experts say the stock markets will collapse. In my opinion, not yet.